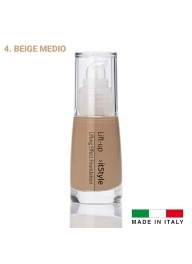 ItStyle Make Up Milano Lift Up Liquid Foundation - Color 4. 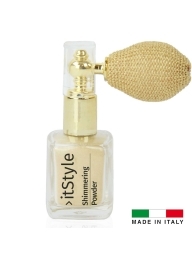 Medium Beige ..
ItStyle Correcting Pencil - 01. 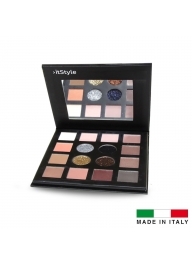 Bei..
ItStyle Make Up Milano Correcting Pencil - 01. Beige Description This light and s..
itStyle Posh Chic Ink Liner Pen - B..
itStyle Posh Chic Ink Liner Pen - Black Description: Fluid eyeliner with a short and ..
itStyle Bonne Mine Matte Liquid Lip..
itStyle Bonne Mine Matte Liquid Lip Color – New York Description: Matte liquid ..
itStyle Posh Chic Super Mascara..
itStyle Posh Chic Super Mascara Description: Its formula lengthens, bends, volum..
ItStyle Curving Mascara - Black..
ItStyle Make Up Milano Curving Mascara Black Description Maximum defin..
ItStyle 24H Luxury Kiss Lipstick - ..
ItStyle Make Up Milano 24H Luxury Kiss Lipstick - Color 2. Pink Meat Natural Descri..
ItStyle -Semi-permanent Pencil Lips-Salmon Description Tattoo effect for this brush t..
ItStyle 3 In 1 Mascara ..
ItStyle Make Up Milano 3 In 1 Mascara Description Lengtening volumizing and.. Compact Bronzing Powder - 03. 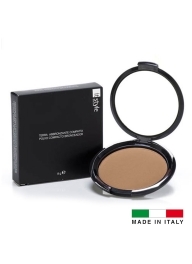 Safar..
ItStyle Make Up Milano Compact Bronzing Powder - 03. 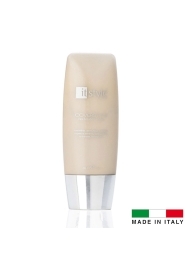 Safari Description The speci..
ItStyle Concealer Stick - 06 Light ..
ItStyle Make Up Milano Concealer Stick - Color 6. Light Beige Description ..